Customers wanted fish engravings and we found a way to do it most elegantly. All our salt water fish are from custom drawings by famous Miami fly fishing artist Jorge Martinez. We asked Jorge to devise ways to put fish on the limited space we have on our reels, and he delivered unique fish drawings: tailing bonefish, permit or redfish, top down tarpon, top down bonefish, a striking striper or a feeding permit. Our trout and steelhead were generated from photographs and manually edited for laser etching. 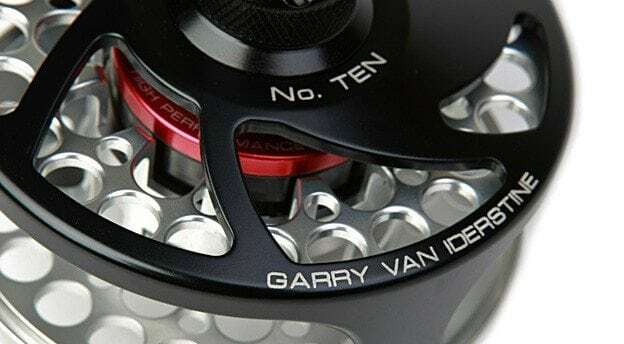 All our fly fishing reel drags share one unique feature that you will not find in many fly reels on the market: perfect drag memory. 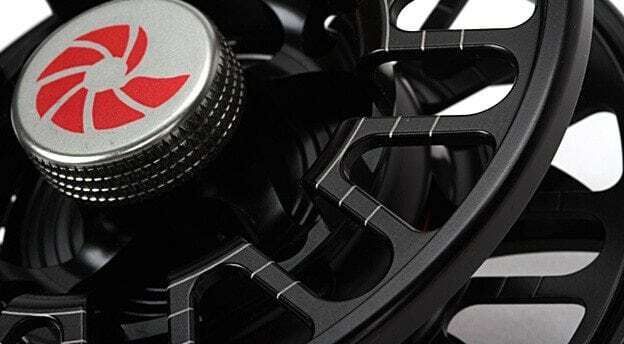 At a given setting, the reel will always have the same drag tension. To take advantage of this unique feature, we are now offering drag dials on our drag knobs, paired with a small arrow on the frame. Memorize your settings from 1-12 for strike, fight and max, and switch it back and forth during the fight without worries of going too far! This is a must for any serious light tippet angler. 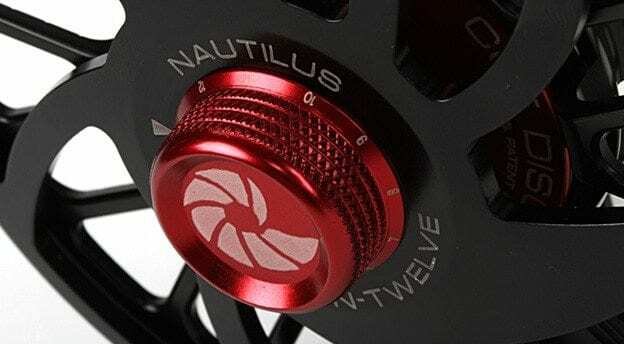 Laser etched in 100 yard increments on the front of the spool of any Nautilus reel, these backing line markers allow you to quickly judge how many yards of backing the fish has taken or how many you have left. When the fish is running, these lines form perfect 100 yard rings that seem to hover above the backing, allowing you to get a good estimate of your backing situation. Great for “across the flats,” “across the archipielago,” “across the ocean” and “down the river” speedsters when backing capacity is critical. Even better: your friends don’t have it – yet! 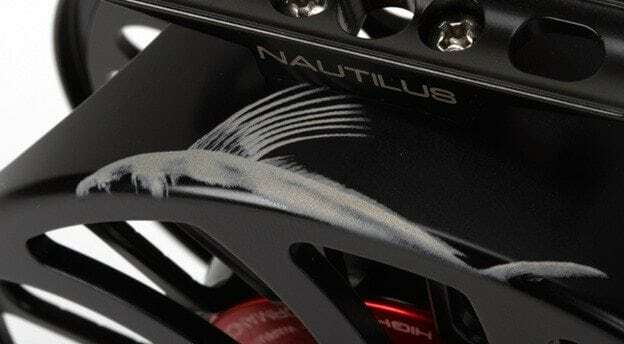 Custom name engraving is avaialble for all Nautilus reel models. The names are permanently engraved onto the bottom of the housing (see image). Cost for name engraving is $30 and usually takes 5 – 10 business days to process. Custom logos or signatures are also available, and are laser engraved permanently onto the reels in a location specified by the customer. For corporate logos, minimums apply. Please contact your local fly shop for more information.